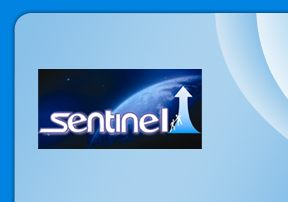 Why to choose "Sentinel Public Relations Pvt. Ltd."
At "Sentinel Public Relations Pvt. Ltd." Mumbai (India) we can help you develop effective corporate communications tools for the mass media as well as for select audiences. Whether it is a press release, press kit, brochures, advertisements, newsletters or any other communication material, our creative team will put the words together which will get your message across clearly. What is said about you in the media is steered by great information that is intelligently packaged. At "Sentinel Public Relations Pvt. Ltd" we make sure that everything you put your name to is top quality, accurate and appeals to those audiences you most need to reach. "Sentinel Public Relations Pvt. Ltd" has excellent relationships with journalists across the country in order to make a PR exercise fruitful. Our team of ex-journalists understands the needs of the media and hence plans news dissemination to media in a customized way. This ensures maximum coverage as also helps identify any obstacles to achieving our aim. How you position yourself will also have a lasting impact on how your business or product is perceived in the marketplace. Sustained Public Relation efforts from our side have taken our clients onto a much higher plane than they were before. A bad situation can come up anytime and one needs tact and expertise to handle the same. "Sentinel Public Relations Pvt. Ltd." specializes in dealing with such delicate situations with diplomacy and accuracy. A strategic damage control campaign can greatly alter the public’s view of your company under such circumstances. "Sentinel Public Relations Pvt. Ltd." we can ensure that one-sided coverage stops and our side of the story also get highlighted. The "Sentinel Public Relations Pvt. Ltd." we help you to create a good reputation for yourself over a period of time. Reputation management is a continuous effort entailing thorough public relations and marketing initiatives. It is through these activities that your company can be perceived in the best possible light with.